It is amazing how the West does NOT control events in… Asia and the Middle East! Russia announced that it will change how the world is dealing with the West over Iran… and give Iran more freedom to attain a nuclear bomb. Russia is setting all the parameters for the world right now and this is falling in line with Bible prophecy. Their rule of law is spreading throughout Asia and the Middle East. Europe and America are powerless to the Russian incursion into Crimea that took place during March and the possible Russian incursion into the Ukraine becomes a little more likely in the weeks ahead. The leadership void in the West is dangerous… and will eventually lead to the rise of Antichrist. It is during crises like this that the world embraces security over freedom… and a dictatorship over democracy. Russia’s strength will embolden Israel’s enemies. Syria and Hezbollah in the North will likely take advantage of Israel’s weakened stance. The stage is set… the world is poised and ready for the startling, cataclysmic climax… what will trigger the final countdown? The Middle East is the most keenly watched area of the world. And little wonder; it is central to the economic stability of the world. Conflicts in the Middle East inevitably draw in the major powers and for many years it has been the most likely place for World War 3 to begin. When we ask why the Middle East should be so important we have only to consider two words… oil and gas! 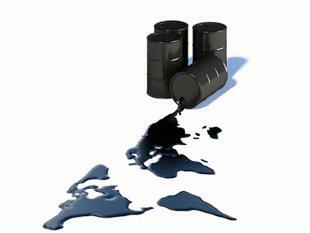 The world’s economies are dependent upon Middle East oil and gas. After the Yom Kippur war in 1973 the Arabs used the oil weapon to devastating effect. The price of oil was raised and supplies were cut. The following ten years were known as ‘the oil decade.’ Western economies were severely disrupted, suffering the crippling burdens of inflation, recession and unemployment. Developing countries spurred on by the high price of oil sought to exploit their own natural resources and borrowed heavily from western banks. The fall in oil prices in the 80s bankrupted these countries who now cannot repay the interest on the loans let alone the loans themselves. The consequence was that all nations, strong and weak, have been drawn closer into the politics of the Middle East. It began in the last century when Britain, France and Russia developed their imperialist ambitions. Whoever controlled the Middle East controlled the trade routes to India. What became known as the ‘Eastern Question’ was the policy of Britain to prop up Turkey as a buffer against Russian ambitions to obtain a Mediterranean seaport. The First World War saw the end of this phase with Britain and France replacing Turkey as protectors of Palestine, Arabia, Mesopotamia and Syria. The following period between World War I and World War 2 is important to understand… what happened! And, then we need to recognize the new force that emerged towards the end of the 19th century; Zionism the movement to create a homeland for the Jews in Palestine. In 1917 the British Foreign Secretary announced what was known as the Balfour Declaration… committed the British Government to support the idea of a national home for the Jews in Palestine. The League of Nations after the First World War gave Britain the Mandate over Palestine which she held until 1948. In 1948 Israel declared itself an independent State, and was formally recognized by the United Nations. So began the phase of Middle East politics and the bitter conflicts which have continued ever since. But who could have foreseen…? Looking back over this history it is easy to identify the factors which led to the present situation. And, in the last century who could have predicted that out of the ‘conflicting ambitions’ of the World powers would birth the State of Israel, the most troubled and potentially explosive place on earth? The important event in the Middle East which paved the way for the re-establishment of the State of Israel was the demise of the Turkish Empire. In 1967 the Arab nations surrounding Israel planned to annihilate her… but Israel dramatically won the famous Six-Day War. Since then Israel has control over Judea and Samaria (the so-called West Bank) and until 2005 the Gaza Strip. Today Palestinians living in these territories are at the forefront of international attention. Behind the present tension lies the question of who owns the land? Whatever the political rights and wrongs of the present dispute… in the Bible God has made it clear that the land belongs to Christ, and will be given to Abraham and his descendants through the line of his son Isaac and grandson Jacob (Israel). If the Middle East is the centre of God's plan with the earth, then Jerusalem is its epicentre... From the very first, when God brought Israel out of captivity in Egypt, He spoke of “the place” where He would set His Name. That chosen place was Jerusalem. There David was established as king over the first kingdom of God on earth; and Yeshua (Jesus) Himself, David’s greater son, called Jerusalem “the city of the great King.” The promise that lay behind these words includes the following prophecy; “They shall call Jerusalem the throne of the LORD; and all the nations shall be gathered unto it, to the name of the LORD, to Jerusalem,” Jeremiah 3:17. From this and other prophecies such as Zechariah 14, it is clear that Jerusalem is the very last place that Israel will give up. When the invasion of the land comes, a remnant of the nation will be defending Jerusalem. They will stand on the brink of total defeat. Half of the city will be taken captive but then, as Zechariah says; “shall the LORD go forth, and fight against those nations” (verse 3). At that time Yeshua will be revealed to the Jews as Israel’s Messiah and some at least will submit to His authority. He will replace their unbelieving spirit of self-confidence and stubbornness with a new spirit of trust and obedience in God and His Son. Who would dare predict the turbulent course which Middle East events are taking? Only through a right understanding of the Bible can we make sense of it all. If we focus too closely on day-to-day events, a clear pattern may not be discernable. But if we stand back for a moment and view the broad sweep of both the history of the Middle East and current events through the eyes of Bible prophets, we can see a very clear picture emerging. 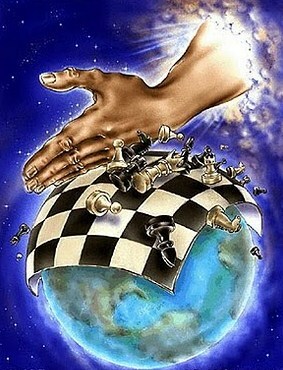 The world is moving rapidly towards the return of Christ to set up the Kingdom of God on earth. It is that Kingdom of which all the prophets spoke and in which all the promises of God will finally be fulfilled. None of us knows exactly when the Kingdom will come, nor indeed the exact order of events leading up to it. What we can be certain of is this: the tide of events is sweeping towards the great climax of history at breathtaking speed. We can be part of that Kingdom through faith and obedience to the King, the Lord Jesus Christ. There is little time left to prepare. Once we have grasped that Israel is at the centre of God’s dealings with mankind we have the key to understanding the direction of world affairs today… Through the prophecies of Scripture we can discern a clear pattern in current events. From ancient times the land of Turkey has served as a bridge between East and West. The Apostle Paul grew up in Tarsus, a city in south-eastern Turkey. He later planted churches in what is today western Turkey. Paul’s ministry focused on Turkey – Asia Minor until God called him to cross into Europe. Today Turkey maintains that unique blend of East and West, ancient and modern, sacred and secular. For almost 600 years the Ottoman Empire ruled the Middle East, and parts of Europe, from Constantinople (Istanbul). But by World War 1 the Ottoman Empire had become the “Sick Man of Europe!” Corruption and neglect took their toll. Turkey itself went through a period of unrest until 1923 when the Republic of Turkey was established by Mustafa Kemal Ataturk. Though 98 percent of the population is Muslim, Ataturk looked to the West for his ideal of a modern Turkish nation and did not establish Islam as the official state religion. When he formed The Republic of Turkey, Ataturk decided to walk a fine line between East and West. Over the years Turkey, once an ally of Israel, has looked to the West for help, but the West has not yet provided the necessary answers. Turkey still maintains close ties with the West… but she is now also looking in other directions for help… and that help is coming from Iran. Blocked to the West Turkey is looking to the north… but also to the East! Turkey’s feet remain carefully planted with one foot resting in the Western shore with Democracy, membership in NATO and a desire to join the EU… but the other foot is resting in the East with common Islamic religious ties. Thus Turkey maintains her balance between East and West… BUT… can she continue? Does the Bible give us light on the future of Turkey and Iran in world history? The answer is found in the book of Ezekiel. 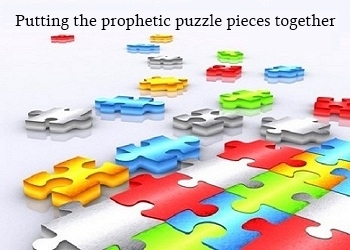 What is the prophet describing… and how does it relate to the Middle East today? Ezekiel begins by explaining who will participate in the end-time army. 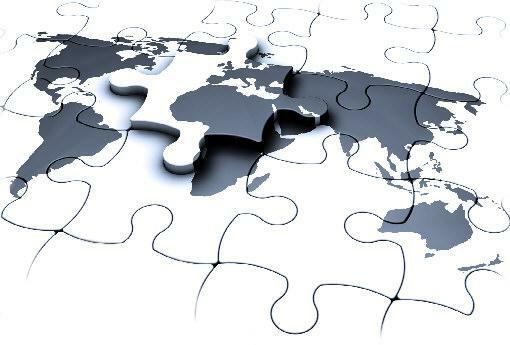 In Ezekiel 38:203, 6 he identifies a man named “Gog” who will lead a coalition of nations including “Magog, Meshech, Tubal, Gomer and Beth Togarmah.” Where are these countries in Ezekiel’s prophecy situated today? These nations inhabited the rugged area, north and east of the “Fertile Crescent” in what are today northern and eastern Turkey, north-western Iran, and the former Soviet republics of Georgia, Armenia, and Azerbaijan. Most of the countries are today part of or neighbours of Turkey. The leaders in this end-time invasion live in the area that stretches from Turkey to the land between the Black and Caspian Seas. BUT, Ezekiel also names other allies who will join these invaders: “Persia,” “Cush” and “Put” will be with them (Ezekiel 38:5). The First is “Persia”… Ancient Persia is equivalent to modern-day Iran. The language spoken by the Iranians is still called ‘Farsi’ or ‘Persian.’ According to Ezekiel… Iran will someday join this coalition of nations who will invade Israel. The Second ally identified is “Cush.” In Ezekiel’s day the country of Cush began south of Egypt beyond Aswan. Earlier in his ministry Ezekiel predicted that God would make Egypt a desolate waste from Migdol (northern Egypt) to Aswan (southern Egypt) as far as the border of “Cush.” (Ezekiel 29:10) The land of Cush stretched south from Egypt and today includes the countries of “Sudan and Ethiopia.” The final ally named by the prophet is “Put.” The country of “Put” was located to the west of Egypt in North Africa and today the ancient “Put” is the country of “Libya.” Many have marvelled over the odd assortment of allies in Ezekiel 38 – 39. From Israel’s perspective, the nations span the points of compass as they unite from all sides to attack God’s chosen people. The leader comes from the north… and he controls nations concentrated around the Black and Caspian Seas. Today there is no doubt that these nations include Turkey and several republics of the former Soviet Union. This leader of the northern coalition joins forces with his allies to the east, south, and west – Iran, Sudan and Libya… and leads these combined forces against Israel! For centuries the possibility of such a coalition seemed remote! The best way to interpreting God’s Word is to allow the words in the Bible to mean exactly what they say. Since God knew the end from the beginning, He would have named the specific countries or peoples even if they did not exist! For example; He told Isaiah the name of the man who would free the Jews from Babylonian captivity – CYRUS – though the man was not born until a century after Isaiah had written this prophecy (Isaiah 45:1). Therefore the countries named by Ezekiel were well-known in his day, and God predicted that those countries would unite during end-times to attack Israel. But then we ask what could unite such a diverse group? The answer is ISLAM! The collapse of the former Soviet Union coincides with the resurgence in “Islamic fundamentalism!” More than fifty million Muslims live in six former Soviet republics. Both Turkey and Iran are working feverishly… with Saudi Arabia… to replace Moscow as dominant influence in these regions. A northern coalition of nations united by a common religion, ISLAM, today seems entirely possible… and these two leading players are Turkey (also referred to as the “Gateway” as it sits on two continents connecting Europe in the West and Asia in the East) and Iran. Both nations are engaged in massive efforts to cement economic and religious ties… but, they are also forging military links! The first hints of a northern and eastern coalition are appearing on the horizon in Turkey and Iran… but what about the other allies named by Ezekiel? How do Libya and Sudan fit in the total equation? The common denominator here is Islam; even though they have little else in common they are tied together with their plot against Israel’s existence. For thousands of years this alliance seemed impossible, but now is starting to form. Rabbis look to this war as the war where the Lord will begin to redeem the nation of Israel. 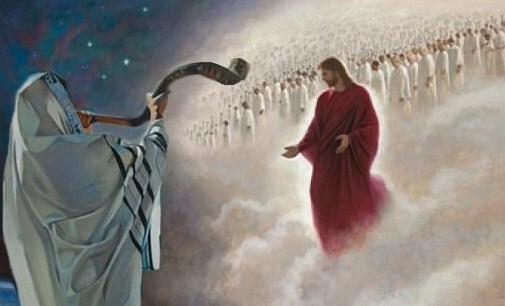 In time, they will see the redeemer is in the name of Yeshua HaMashiach (Jesus Christ). God will defend Israel in those days, says the prophet. Israel is living in ‘villages without walls.’ If anyone visits Israel today… they know that security is important, but you can travel to destinations without violence. South Africa, USA and many other countries have places more violent than Israel! However, Israel cannot hold off the massive armies that will invade the country in the near future… Only God can save the nation! Their closest ally the United States announced that it probably will not defend Israel in the face of a massive attack. In Scripture, we know that the USA will not… No one will come to her defence except the Lord who chose her 4,000 years ago. “When the Talmud refers to Gog and Magog, it means the entire force that he assembled to destroy Jerusalem at that time… Indeed, that seems to be one of the main criteria of the War of Gog and Magog; “After Moshiach (Messiah) comes, a major war will be instigated against Israel, as mentioned in the Holy Zohar (Shemos 7b), and in Parashas Vayaira (119a) and Toldos (139). This is the War of Gog and Magog spoken about in Yechezkel (Ezekiel) 38 - 39, and in Zechariah 14, as well as in Midrash Tehillim (Mizmor 118:9). There it says three times in the future Gog and Magog will come against Israel and go up against Jerusalem, and assemble and anger the nations with him to go up to Jerusalem.” (Sha’arei Leshem, p. 491) In Hebrew the Gematria of the words: “Gog U’magog,” 70 (Gimmel-Vav-Gimmel Vav-Mem-Gimmel-Vav-Gmmel numerically: 3+6+3+6+40+3+6+3), a very ‘good’ number. The only problem is that normally it is a number that is associated with a positive idea, one of Godly knowledge, spiritual growth and world peace… not with the greatest enemy’s mankind will ever face. But, that cannot be mere coincidence, especially since we do NOT believe in mere coincidence. And if it is NOT a coincidence that this very historical number is associated with the final and greatest enemies of all of history there must be a very important message that emerges from such an association, one that mankind today better learn well and quickly.! In other words, the number 70 represents… the concept of Godly knowledge upon which Bible is based and which allows the Jewish people to fulfill their mandate of being “a light unto nations.” Indeed, the Jewish people are meant to be the spiritual channel through which Godly knowledge is supposed to flow into the world. There are a number of reasons why the number 70 represents this idea. But, a no less profound reason is that 70 is the product of seven times ten, with the number 7 representing the natural world that was made in 7 days, and the number 10 representing the perfection of an idea. The physical, natural world… is actually the product of a spiritual, supernatural world. This is why miracles happen in everyday life, even with the most mundane things and for the most ordinary people. For, everything in Creation, at its core, is miraculous and supernatural. A good example is the splitting of the Red Sea at the time of the Exodus. Conventional thinking says that the water did not possess the potential to become walls of water so that the fleeing Jewish people could escape on dry land… but rather, God imposed His will and made the water work against its nature… for the sake of the Jewish people, a natural reality was made to act unnaturally. 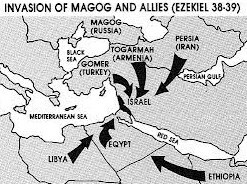 Now let’s ‘look’ at the Gog/Magog War with a ‘closer look’… We have the main players of Russia, Iran, Israel, and the lesser players of Turkey, Libya, and Sudan that will be involved in the epic Ezekiel War of Chapters 38/39, or as some know it Gog/Magog. We know the Psalm 83 war could be soon… but it is the Gog/Magog War which will change the world! Russia is the second player in the Gog/Magog War. As we have seen Magog is a geographical area north of Israel and the villagers that make up this geographical area belong to Turkey and Russia. It is generally thought this is Russia. We believe it is… because Russia does have the amount of soldiers to overrun Israel. They also have the technology described in Ezekiel where soldiers will loose their sense of direction and experience a massive defeat. Iran is willing to go into Israel… but Russia will have to be hooked, or urged... Iran has stated it wants to destroy Israel, and they are preparing for the day where they will try to destroy God’s people…. Iran will be destroyed on the mountains of Israel. The smaller Iranian army will take a bigger hit than Russia, and the Scripture states in the end of days the North (Russia) will continue to cause Israel problems, but Iran is not a real threat. It is because Iran’s losses will keep them from playing a big part on the international scene, but Russia will continue to press the international community in their weakened state. They may still play a part, but not a significant part. China will fill in the void from the East. Turkey, Sudan, and Libya are lesser known Iranian allies in the Gog/Magog War… but they will play a part. Turkey, north of Israel, will probably supply many soldiers, fighter jets, and other military hardware, and they will be soundly defeated just like Iran would be. Sudan is a supplier of Iranian weaponry, and the Port of Sudan will likely supply weapons with military support in the Ezekiel War. Therefore, they will be a part of the invasion. Libya is a little more difficult. They have a collapsed country, and the likelihood of a military assault from them is average at best. However, they are into pirating, and guerrilla warfare. Libyan terrorists will probably assist Sudan, Iran, Russia, and/or Turkey. Many of them are stationed in Syria at the moment, and they may become important in the delivery of military hardware in any war. Remember, Damascus will be destroyed sometime in the end as prophesied in Isaiah 17. The destruction of Damascus may propel this war. 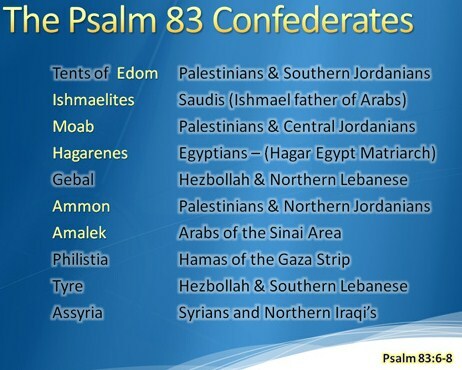 The Psalm 83 war may help start this war. Whatever may happen, the world will change forever after Gog/Magog because this is when the world will know God saved Israel from destruction. Many hearts will harden, but many will come to know Yeshua (Jesus). Also, Romans 11 will begin to be fulfilled when the Apostle Paul wrote that all Israel shall be saved. 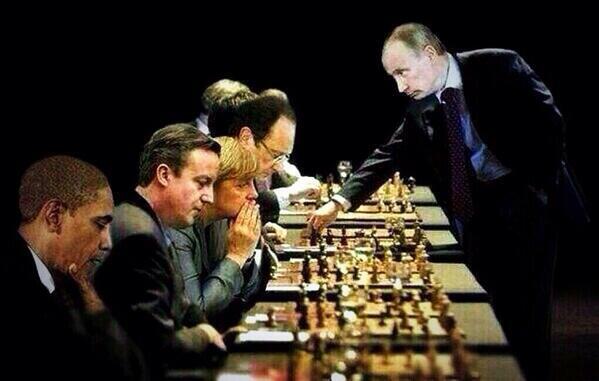 Watching the resurrection of Russia on the world stage today and their predictable power grab is fascinating…! It wasn’t that long ago that the Soviet Union was breaking up, their military was in shambles and their finances were weak. Their role as Magog of Ezekiel 38-39 was certainly not even an option due to the fact that they seemed so weak at that time. However, those studying prophecy knew it would only be a matter of time before Russia regained prominence and indeed they have. Russia’s takeover of Crimea is a systematic plan to take over the Middle East. Russia’s annexing of Crimea is just another step toward the Middle East. Russia’s main prize is Middle East control, with Israel is in its way! One day Russia will be ‘hooked’ to go into the mountains of Israel. Russia, a fairly rational superpower, knows that it cannot take on the whole Middle East right now. Iran, on the other hand… will go after Israel with no sense of rationality. The events you see today are setting up for major events in the future which will fulfill Scripture. It will be Russia that will need prodding to go into the mountains of Israel, and when she does, she will meet her defeat by the hands of God. Russian weaponry is going to a Crimean ‘warm water port’ that may very well be used in the coming Gog/Magog War. Always remember, everything happens within the Will of God! Gog is moving south, and in the near future Gog will move further south against Israel. God will judge Gog on the mountains of Israel. We know from Scripture Ezekiel 38/39 that Russia and its allies will be defeated upon the mountains of northern Israel. Looking through the lenses of Scripture, Russia will soon see its demise by the very hands of the Lord. Time will tell how soon that will be. The Gog/Magog War of Ezekiel is important. First, the world will know God has defended Israel, and many will come to the faith, but many people’s hearts will grow colder. It will be an event that will open many eyes to God. Believing that Yeshua (Jesus) exists does not make you a Christian, but accepting the atonement of His death and the promise of His Resurrection makes someone a Christian. Even the demons know Yeshua (Jesus) exists. Second, Israel will begin the process of salvation. Before Christ comes back all Israel shall be saved. The process of this salvation starts at the Gog/Magog War. It is then the Jews will begin to look for their Messiah. Satan’s persecution will greatly increase as much of the world begins to credit God for saving Israel, but sadly many will still not believe! Therefore the battle of Armageddon is described in part in Ezekiel 38 the prophet foresees a massive confederacy of nations invading the land of Israel just before the establishment of the Kingdom of God. The leader of the confederacy is called Gog of the land of Magog. Bible students have consistently looked to Russia to fulfill the role of Gog. Magog was an ancient name for the land of the Scythians in the southern part of what is now Russia. 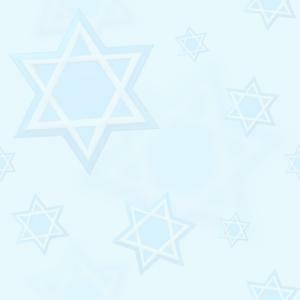 All rulers and nations who have oppressed and persecuted the Jewish people will come to naught. Their glory will wither just like that of the flowers and grass. But the Word of Israel’s God, spoken to them through their own prophets, stands eternal and unchanging. To Christians who obey God and bring a message of comfort to Israel, Isaiah 40:9 offers strong encouragement.